The Tynker Workshop on Web has a new drawing tool that will make it even easier for students to draw assets for their projects. 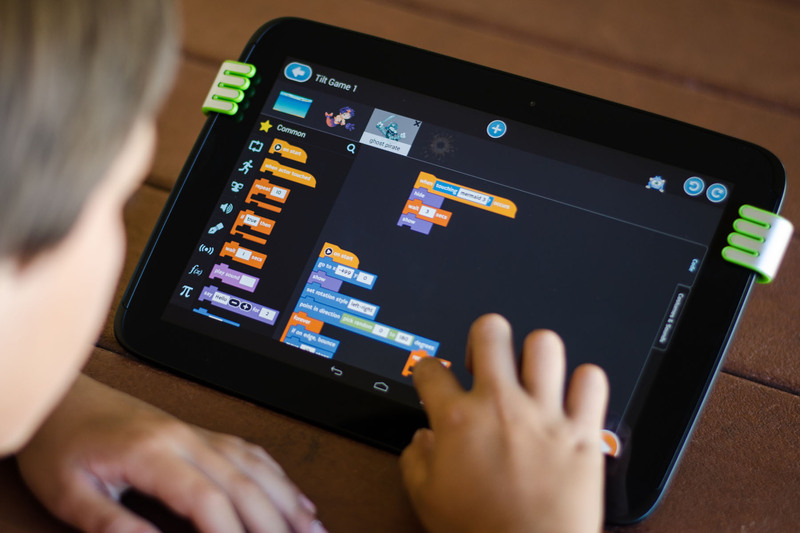 This new tool is called the paint editor, and it’s more intuitive for kids to learn and use. Our old vector drawing tool is still available and is still a valuable skill for students to learn. 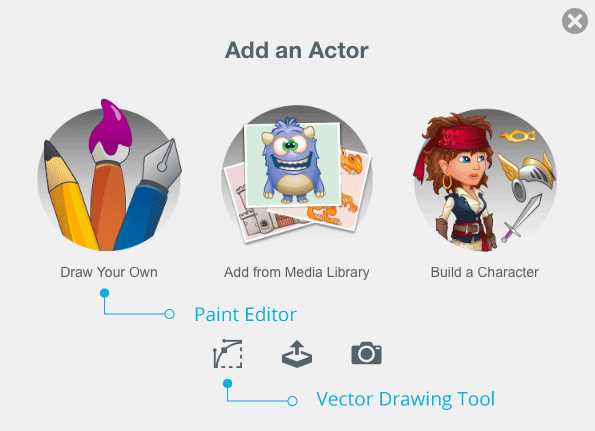 To get to the paint editor, just click “Add Actor” and choose the “Draw Your Own” option. It’s super simple to use the paint editor. From top to bottom, the tools available are the pen, paint brush, eraser, paint bucket, stamping tool, shape tool, text, selection tool, and alignment tool. When you click “Add Actor,” choose the small icon on the far left below the main row of options. 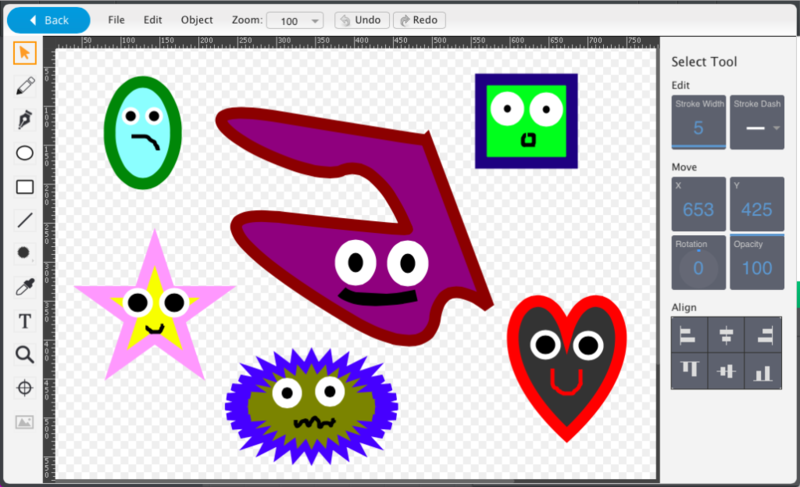 The vector drawing tool will work exactly the same as it always has and you can continue to use it for Tynker lessons. Although the paint editor is easier to learn, vector drawing has a lot of advantages. If your students already know how to use the vector drawing tool, they can continue to use it to create images that would be challenging to make with the paint editor. Note to Educators: Programming 101 Lesson 2 is about how to use the vector drawing tool. While you are in this lesson, the “Draw Your Own” option will open the vector drawing tool. 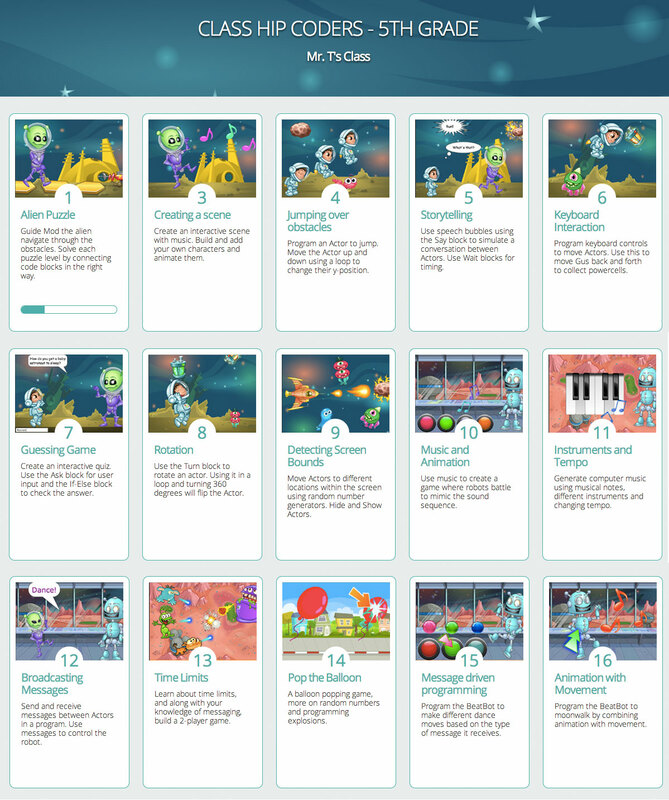 This means that you can still follow the same instructions that are in the lesson for using the vector drawing tool. 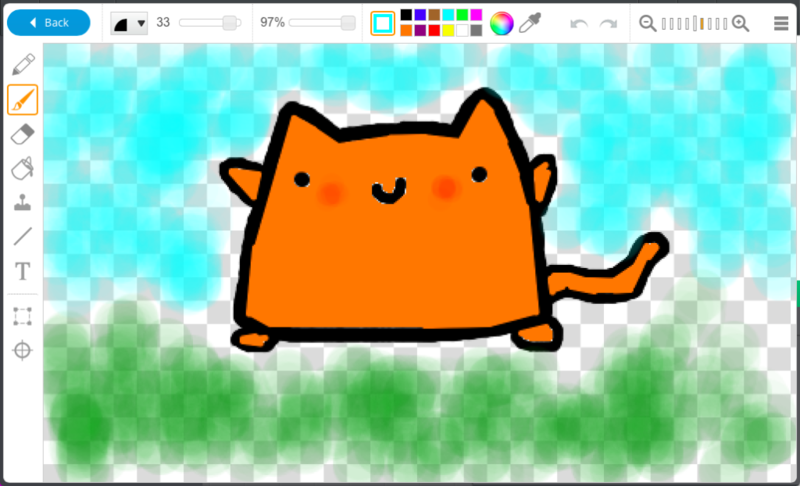 While outside the lesson, though, the “Draw Your Own” option will launch the new paint editor.